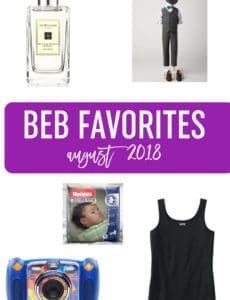 There’s only one day left in the month, which means it’s time for a new favorites post! 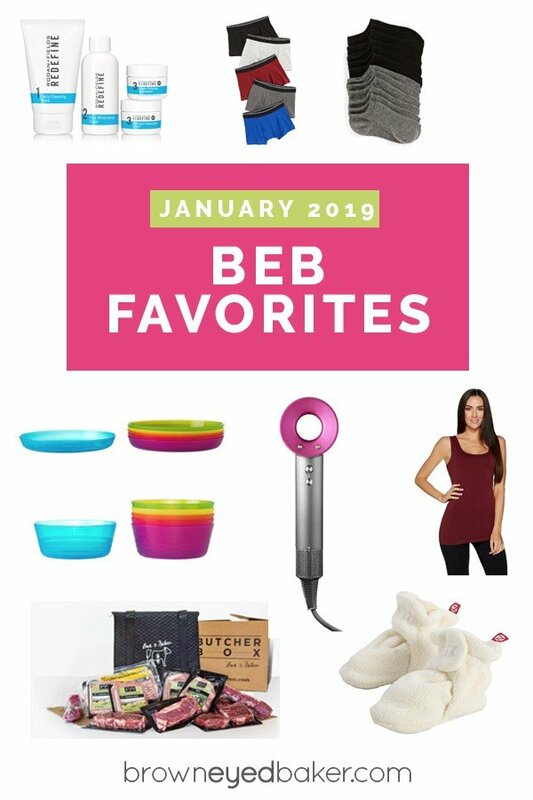 Our first one of the new year, it’s packed with tons of things that I’m loving right now. We have two new-to-me products and the rest of ones that I’ve been using for awhile now and couldn’t wait to share with you! Rodan + Fields Skincare– I’ve jumped around a lot with my skincare routine over the last 5 to 10 years, liking some products but never feeling like they actually made much of a difference. Towards the end of summer, I saw a friend of mine from college post on Facebook that she became a Rodan + Fields consultant and since I was nearing the end of my current hodge podge of skincare products, I decided to give it a chance. I’ve now been using it for nearly five months and my skin has NEVER looked or felt better. As in, I don’t feel like I need to hide under a brown paper bag if I go out without makeup. It’s astounding. I’ve been using their Redefine line + Hydration Serum (only at night and only since it’s gotten cold and my skin has gotten drier) + Hydration Bright Eye Complex + Lash Boost (which is seriously mind blowing in and of itself). It feels so great to find skincare products that I love! Tucker and Tate Socks and Underwear – Last summer, I ordered Tucker and Tate low cut socks for the boys, which were fantastic for them to wear with shorts. I also love that they are thin, which some people might not like, but there is nothing worse than trying to stuff a toddler foot covered in a thick sock into sneakers, ha! Then when Joseph needed some new underwear in the fall, I got him the Tucker and Tate boxer briefs, which are super soft and fit him wonderfully. Highly recommend both (they’ve both worn/washed exceptionally well)! IKEA Kalas Plates and Bowls – We got a vast assortment of baby plates and snack bowls at my baby shower when I was pregnant with Joseph and we’ve been using them all for these last few years. However, now with two kids flying through plates and bowls each day, we needed more. At least half of our bowls were too small for bigger kid/toddler use and most of our plates were divided, which didn’t even hold a whole sandwich. I looked online and found these plates and bowls from IKEA (bonus that they can be purchased on Amazon! ), and they have been amazing – I just bought a second set of each a few weeks ago. We have a set of the cups as well, which are easy to drink from. Dyson Supersonic Hair Dryer – I KNOW. It’s crazy expensive. My husband surprised me with this for Christmas (I hadn’t even talked about it to him! ), and I was wondering how it was going to compare to my regular hair dryer. Dry time is roughly the same, but the biggest, game-changing difference is how my hair LOOKS after using it. I typically just throw in some smoothing serum before I blow dry and with my old hair dryer, I would definitely need some type of smoothing lotion or to straighten it for it to look “presentable”. But with the Dyson? It looks smooth and silky as soon as I’m done drying. I was ASTOUNDED. I love it! ButcherBox – It’s been a couple of years since I tried ButcherBox for the first time, and if you eat protein on a regular basis, it’s a phenomenal product. They offer grass-fed beef, free-range organic chicken products, heritage breed pork, and wild Alaskan salmon. You can customize your own box from over 21 cuts of meat or select a curated box. Right now they are running a special through the end of the month – get 2 lbs of free wild Alaskan sockeye salmon + free shipping with your first box. Such an awesome deal! Zutano Baby Booties – I asked about stay-put baby socks on Instagram and the overwhelming response was to get Zutano booties, so I hurried over to Amazon and ordered a pair for Isabelle. Oh my gosh, these are so soft and plush, they do NOT come off, and are super cute. I ordered two more colors (they come in a million different shades! ); they are perfect for putting on when she is wearing leggings. Next Post » Joseph’s 4th Birthday! The links for the layering tees and long sleeved shirts don’t work, they get blocked. Can you please give the brand name and site or post it another way? Thanks! I have followed your blog a while but I do have a comment. You post wonderful reviews on products but so many and most of them are very high end. Products that a majority of readers may not be able to afford. I think you have an ability to have these thru your blog or economic lifestyle but there many alternatives that work as well or better. I am in my close to retirement age and have been cooking baking etc. for many years. Old style way works well learned grandparents from polish German and Italian immigrants. I do like a few new appliances but go with the originals that work. The Ikea plates and bowls are all we use for my 2 year old! They are wonderful. Dishwasher safe, unbreakable, and super affordable. I need to get some of the cups next time we go! I also got her a couple of sets of their toddler silverware (the metal ones) and she really likes using them. We got the Smaska set, which have rubber handles. She loves having her own fork that will actually stab food (as opposed to the First Years plasticware we started her with), and even her own table knife. :-) But they do make two metal sets (Dragon and Fabler) too! Too funny re: IKEA plates and bowls. I bought some last year to use for picnics (for big people). From the other comments, they’ll be around for awhile. I never thought about using them for my cats but maybe I will. Love IKEA! RODAN and FIELDS sounds interesting. I just want you to know that you will still have those Ikea cups and bowls after your kids go to college. We still have and use them even without kids around! It’s seriously the perfect size for a bowl of cereal for me! I LOVE those IKEA bowls!! I was looking for something to use to feed our cats, because my husband was constantly breaking the bowls I would buy. I saw those at IKEA and knew they’d be perfect. If I had small children, I would’ve bought the plates and cups too!